THANKS FOR HELPING US OUT WITH OUR TRIATHLON EVENT! 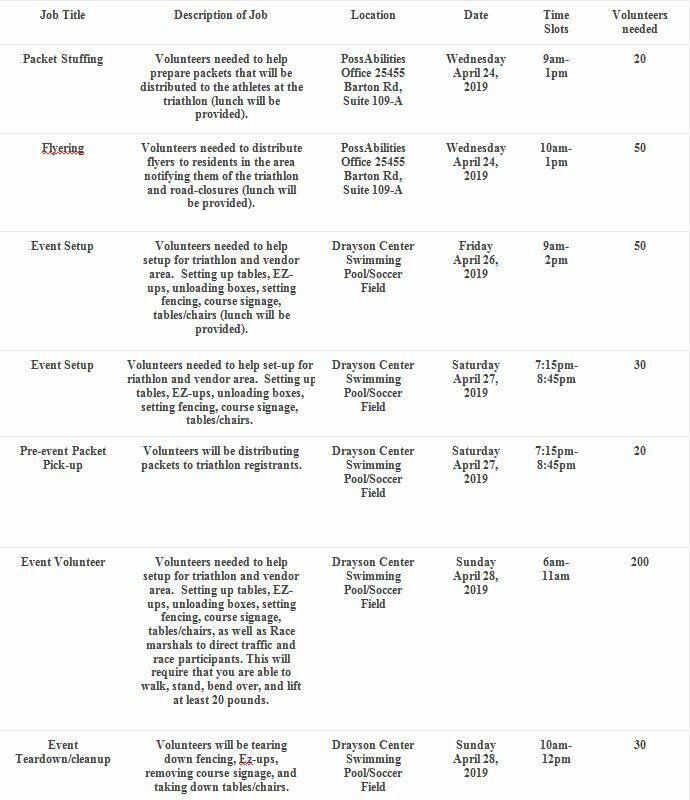 To register as a volunteer for this event please select from the following tasks. Then use the form below to register your participation. Thank you so much for supporting this wonderful event! The Loma Linda University Drayson Center is located at: 25040 Stewart Street Loma Linda, CA 92354. Hello, would it be possible to also volunteer for “event volunteer” for Sunday the 29th and stay and volunteer for the “event teardown/cleanup” as well? I know these would overlap so I don’t want to limit other potential volunteers from their slot, but still definitely would like to stay and help til the end. Thanks again! Looking forward to the event! I am with the ETA SIGMA GAMMA club from California Baptist University. I am a part of the California Baptist University’s Eta Sigma Gamma group . Can I be changed to the Event Volunteer? As a Photographer, I would like to take pictures of the Event. And the various stages if it. I am a part of the California Baptist University Eta Sigma Gamma group. As in the past, I would like to work at the Pre-event Packet Pick-up Saturday Night AND Sunday morning. IF I am not working on Friday, I will be there to help set up the field as well. Thanks! Hello I am so sorry I signed up for packet stuffing Wednesday April 25 by accident for Jessica carlos and Socorro Carlos. If you could please take us off as volunteers I would a appreciate it, however, We will be there for pre event packet pick up Saturday April 28. I will also be there for the clean-up!! Would like to be an event volunteer Sunday, April 29th 6 AM to 11 AM. I will do my best to help with the event tear down also. We will help with the packet stuffing and I will do my best to be available to help with the Tear Down on Sunday.